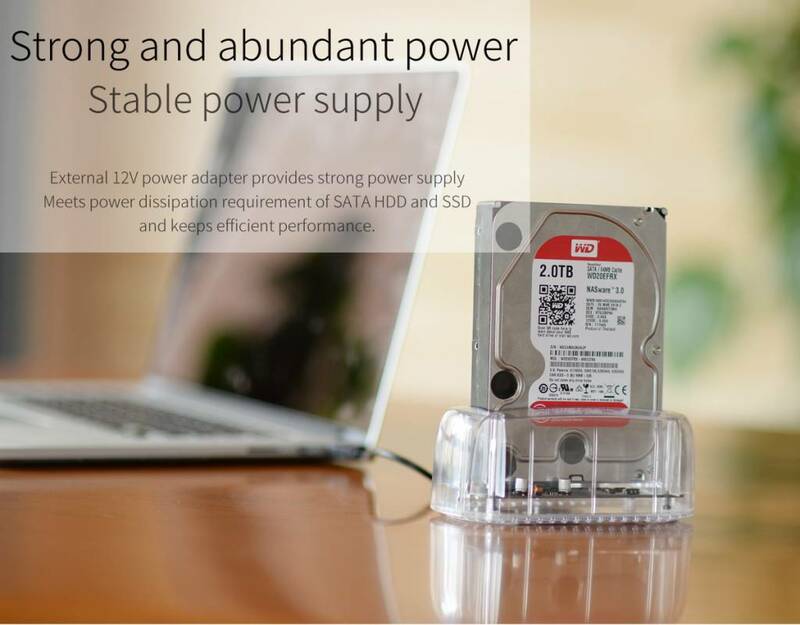 A hard drive at home of 2.5 or 3.5 inch with a capacity of 8TB, but no housing yet? 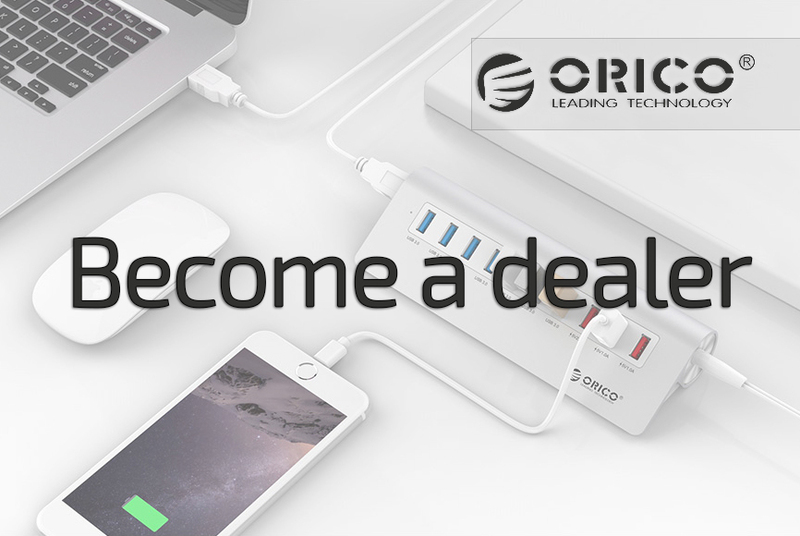 Then the transparent docking station with USB3.0 and type-C connection is the right product for you! 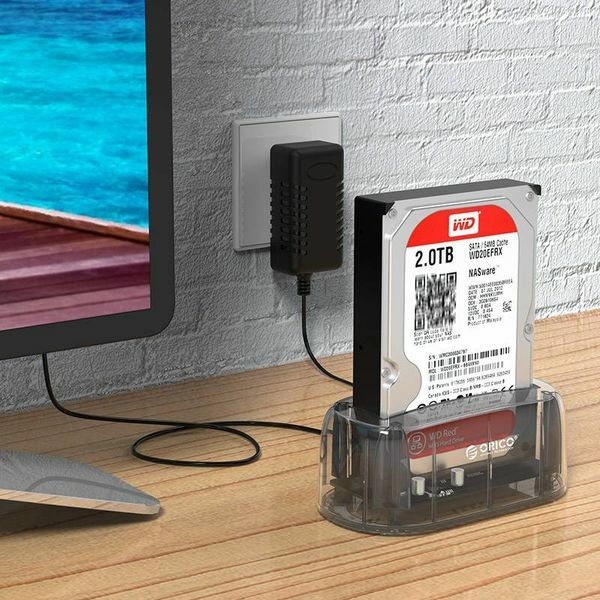 The USB3.0 type-C to type-A cable is included, so the docking station is easy to connect to your laptop or desktop with type-A port. 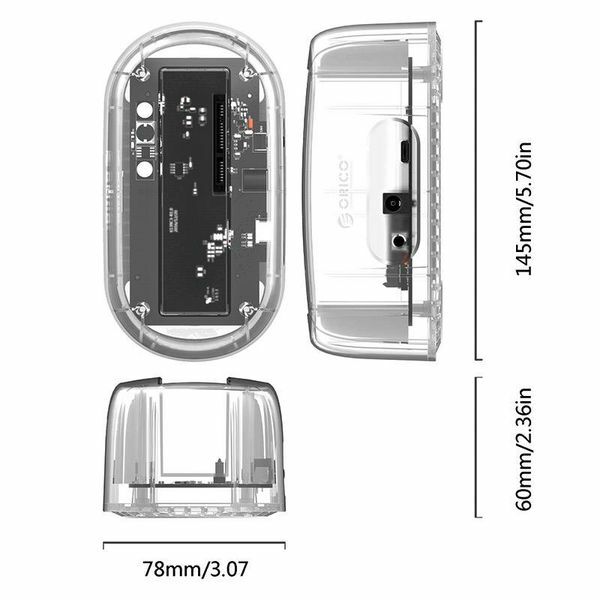 The transparent housing for 2.5 and 3.5 inch hard disks is equipped with the USB3.0 technology. This allows transfer rates up to 5Gbps can be achieved. 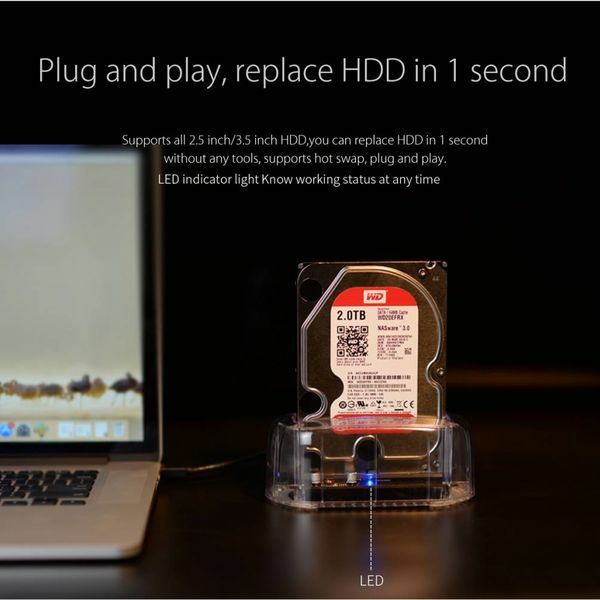 This is no less than ten times faster than the transfer speed at USB2.0! 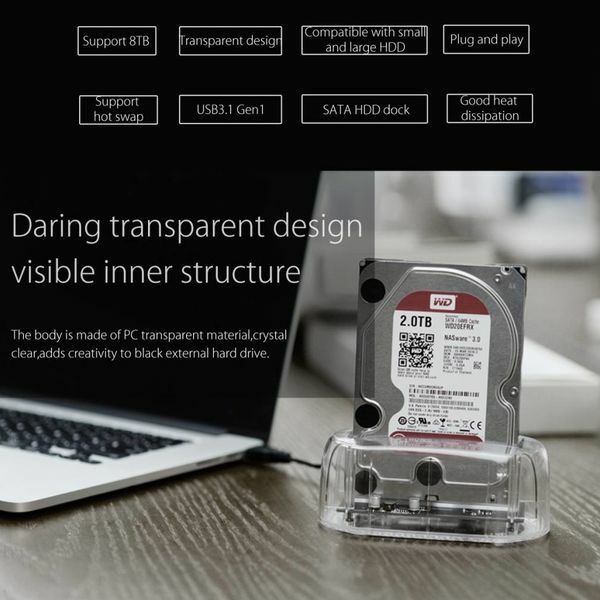 This transparent docking station for a 2.5 inch or 3.5 inch hard drive has a type-C connection. 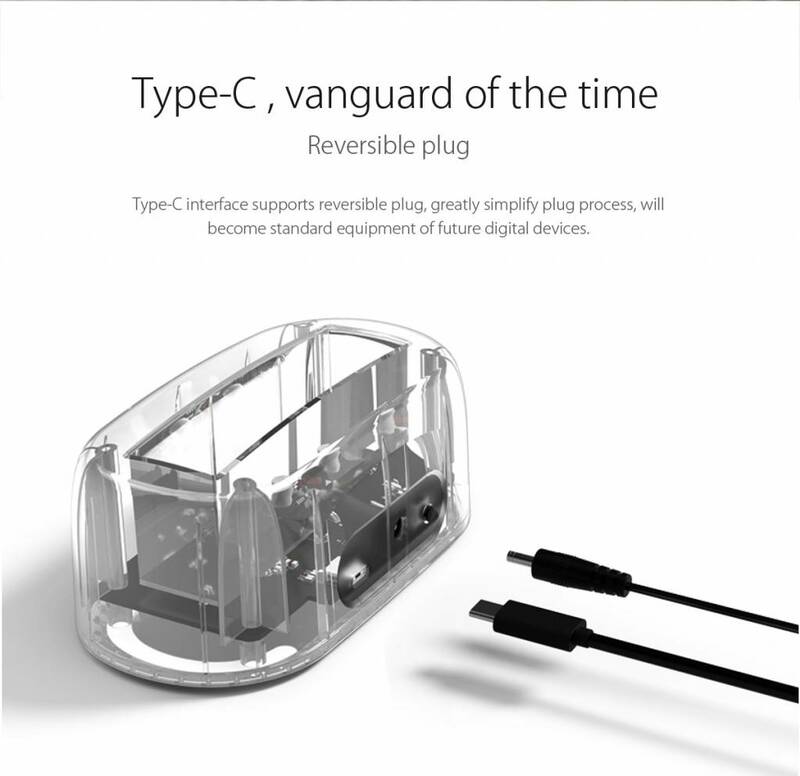 A type-C to type-A cable is supplied, allowing you to connect the docking station to any laptop or desktop with type-A port. Do you have one of the latest MacBooks, which only have type-C ports? Then it is advisable to order a type-C to type-C cable. The unique thing about this 2.5 and 3.5 inch housing is that it is made of transparent polycarbonate. This allows you to see your hard drive in the housing. 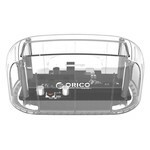 Another handy application of this Orico housing is that there is an on / off switch on the back. You can switch off the hard drive without having to detach the entire housing with one press of a button. 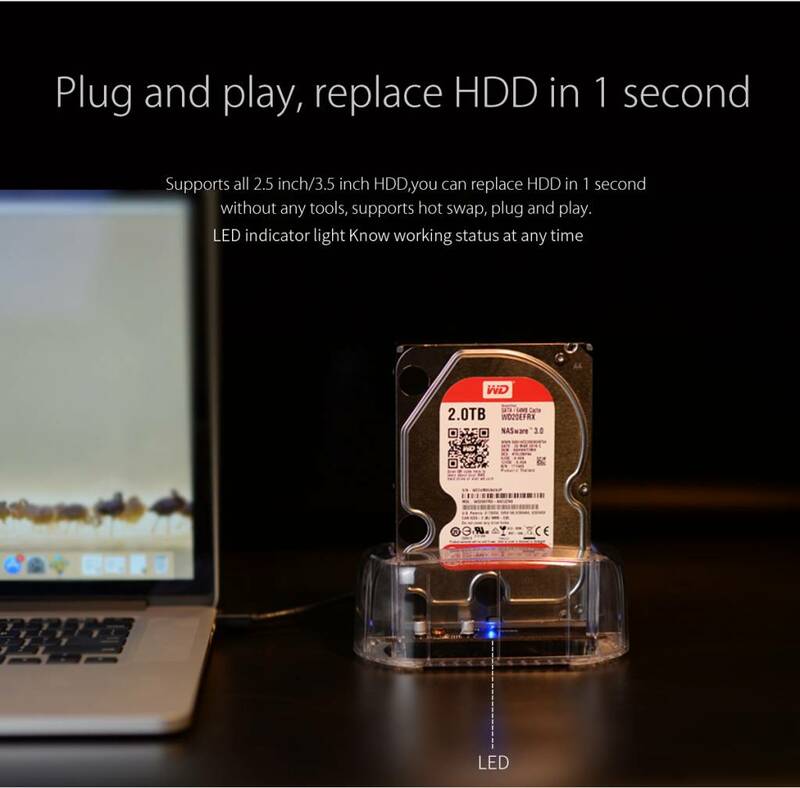 It is possible that heat is released during the use of the hard disk. 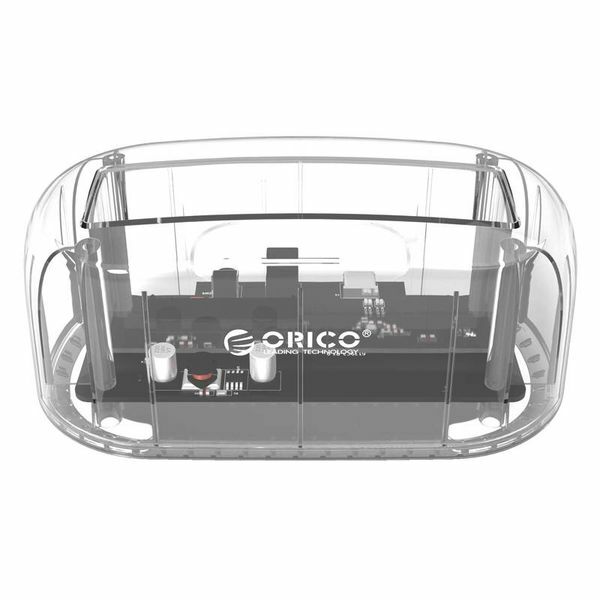 At the bottom of the housing there are numerous small holes that act as a ventilation system. 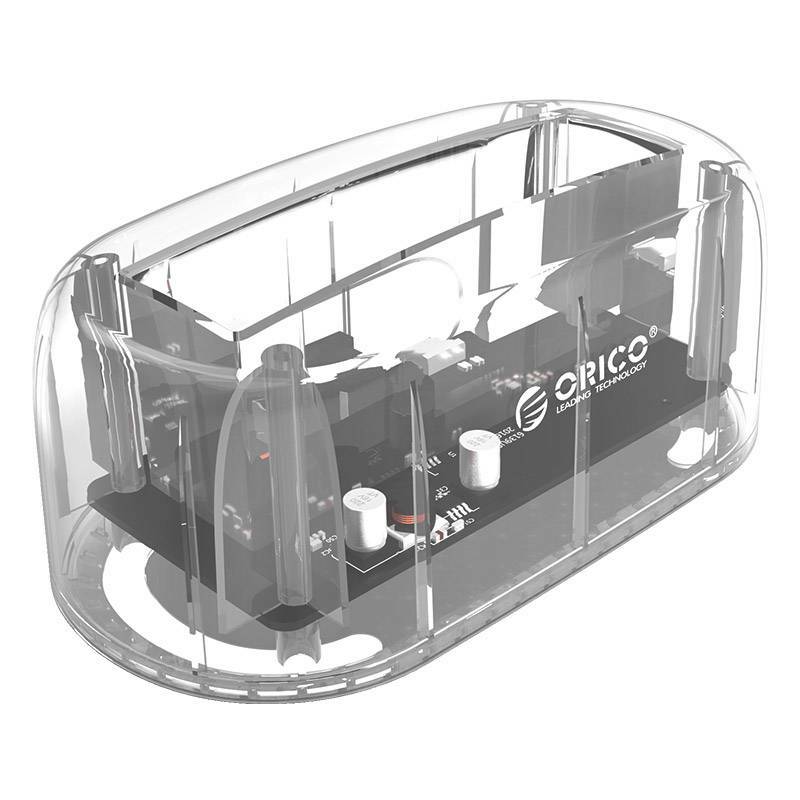 This allows the possible heat to go well. 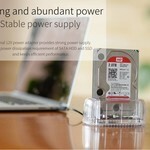 ✔ Suitable for: 2.5 or 3.5 inch HDD & SSD. 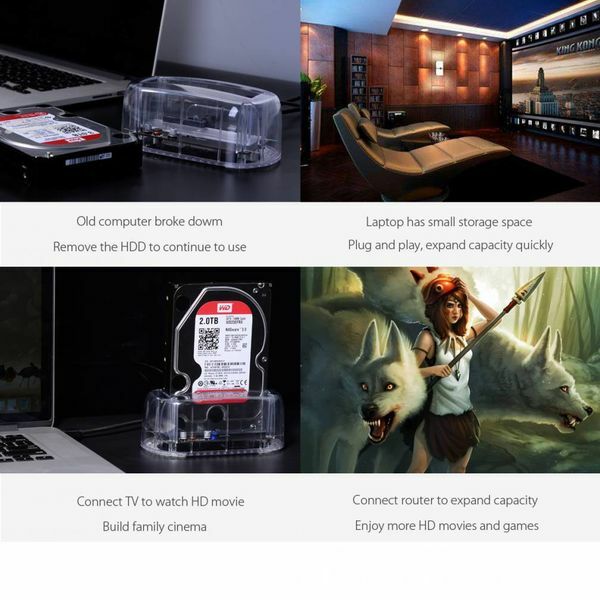 ✔ Supports: Windows XP, Windows Vista, Windows 7/8/10, Mac OS and Linux. 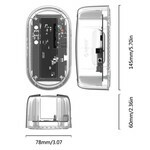 ✔ Product dimensions: 145mm x 78mm x 60mm.